If those millionaires and billionaires are worried that the ground has shifted under them where the vast majority of voters do want the rich taxed more, they’re right. They’ve created this chasm where the average American has figured out who’s really responsible for their being financially squeezed and it isn’t the other (fill in the blank) or in the case of the republican President Donald Trump, the bogeyman of the immigrant. No American begrudges the wealthy their hard earned monies although a lot of their revenues are based on income from existing wealth, but most working Americans insist on fairness when it comes to the rich making monies, at the expense of the average Joe American. It hasn’t always been this way. As per EPI (Economic Policy Institute), from WWII – 1973, when US corporations productivity numbers increased to 95.65%, the average workers’ pay wages increased to 91%. This paradigm shifted after 1973. My theory is that the average American Joe worker’s lot changed in 1973 with the start of ALEC (American Legislative Exchange Council ), which is a non profit organization set up to advance corporate and other conservative interests. As per Wikipedia, “ALEC provides a forum for state legislators and private sector members to collaborate on model bills—draft legislation that members may customize and introduce for debate in their own state legislatures. ALEC has produced model bills on a broad range of issues, such as reducing regulation and individual and corporate taxation, combating illegal immigration, loosening environmental regulations, tightening voter identification rules, weakening labor unions, and opposing gun control. This is what has been happening for decades. Since 1978, the average workers’ wages have been stagnant, whereas most consumer goods like shelter, food, medical costs, medications, costs of a college education have increased by anywhere from 244% to over a 1000%. The concept of corporations providing for pension funds has gone the way of the dodo bird. 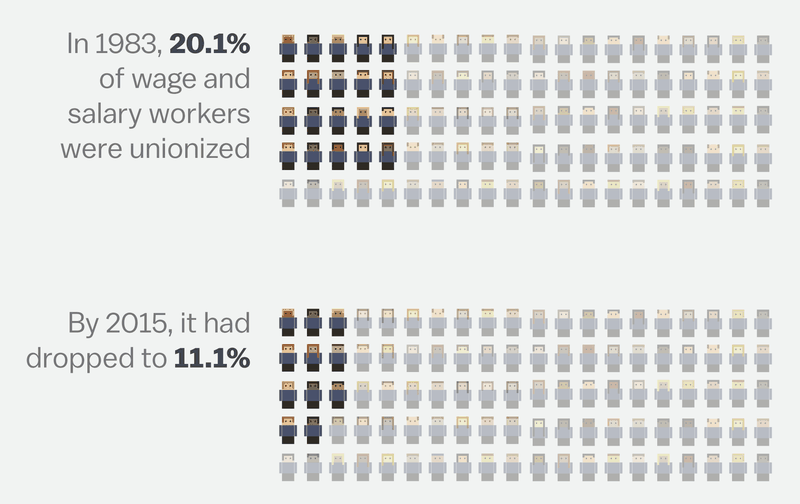 Unions within the corporate world have been systematically crushed. Some corporations have substituted pension plans with 401k retirement plans based on the whims of the stock market to be funded with the employees own monies with some companies offering matching funds up to a certain limit. With rare exceptions there’s no oversight group to insure that financial investors don’t select stocks based on fees they earn, etc. The average worker isn’t stock/ investor savvy. Most likely, if they call the managing group of their company’s 401k plan, they are told to review a “Morning Star” publication which for them, is like reading Greek. There are no funds that I’m aware of, where employees can choose and be guaranteed a bottom rate of return of at least 5%. “Unfortunately for workers, having control over their own pensions doesn’t always end up so well. A recent study from the Employee Benefit Research Institute found that at the end of 2007, about a quarter of Americans ages 56 to 64 had 90 percent of their 401(k) account balances in stocks, instead of more conservative investments. 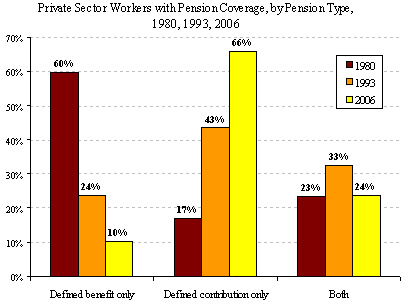 High administrative and investment fees can also erode privately managed retirement benefits. As a coup de gras, and at the behest of some of these rich folks, President Trump’s administration did away with the Obama era ‘fiduciary rule’ requiring managers/ financial advisers managing peoples’ 401k retirement funds to act in the best interests of the clients. Pleased that the Obama administration’s fiduciary rule has been struck down by the courts. It was Obamacare for financial planners. This is more good news for the economy. The Fifth Circuit Court of Appeals argues the Department of Labor lacked the statutory authority to promulgate the rule; a major victory for the brokerage industry. A dark day for consumers and real financial advisors. 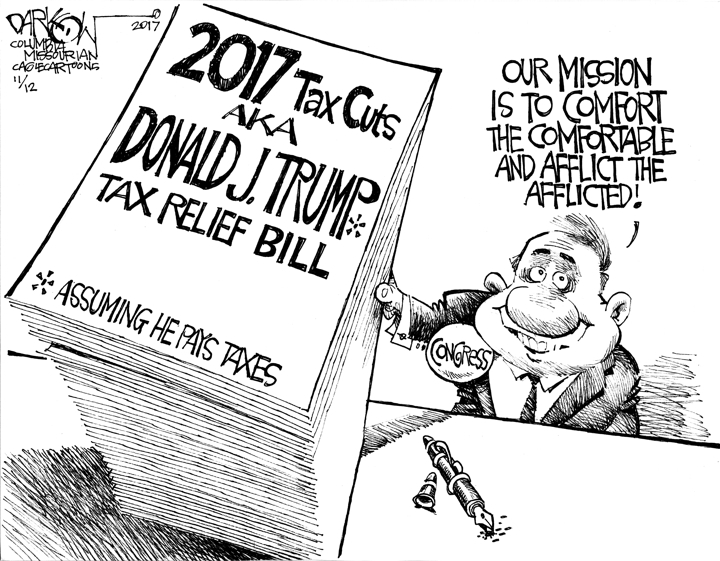 The last straw was with the 2017 huge tax cuts for corporations and rich folks delivered to the rich GOP donors by President Trump, his administration and the GOP lawmakers in the US Congress that this country could ill afford. 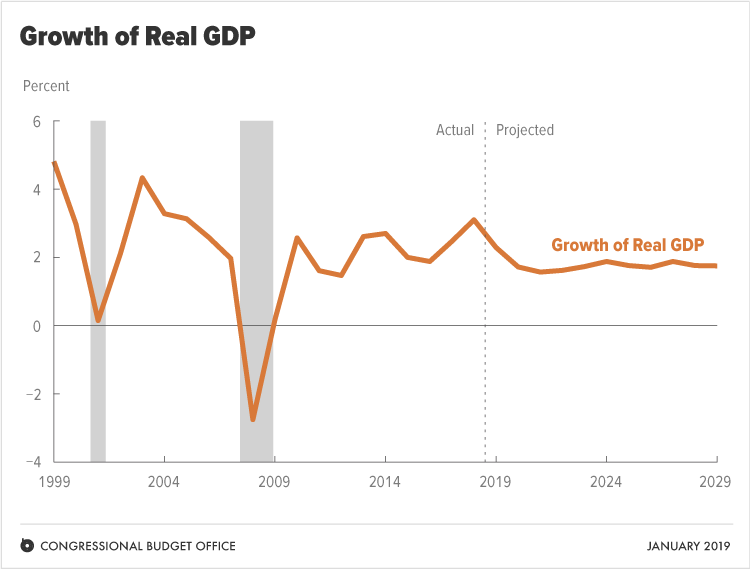 With a swish of an instant these GOP creators of the huge increase in the US deficit now estimated by CBO (Congressional Budget Office) to be over $2 trillion dollars over a decade, lost their conservative bonafides. Remember how we were told about how many additional jobs would be created as businesses would have extra monies, because of the huge 2017 tax cuts, to invest in expansion and other projects. Only this didn’t happen as most company executives decided to use these extra funds for stock buy backs. Those GOP lawmakers failed to explain to the majority of their constituents about how that $1.5 trillion dollar added to the US deficit to pay for the 2017 GOP tax cuts bill, is a net amount. The actual numbers/ cost for the uber rich 2017 GOP tax cuts equals about $6 trillion dollars in tax breaks over a 10 year time-frame. To pay for this $6 trillion dollar tax bonus for the rich, the GOP slipped into the budget, a tax increase of a $4.5 trillion dollars to be levied slowly over 10 years on middle class/ poor folks. Then they added the $1.5 trillion dollars to the deficit over 10 years to reach that $6 trillion total dollar figure. The American taxpayers will be paying this bill. Good post. I’m happy to see that some of the early Democratic candidates are talking about economic inequality and proposing some fixes that clearly benefit the middle and lower classes. If we keep going in the direction we’ve been headed, this country will turn into a powder keg, even more than it already is. Like you, I’m thrilled that the conversation has shifted to recognize that something has to be done to lessen the huge income inequality that exists in the USA. That last tax break in 2017 that will end up costing American families anywhere from $12,000-15,000 USD per yr. is a tax increase on the middle class to pay for tax cuts for the wealthy, the same ones who’ve made out like bandits after the 2008 great recession that many of them helped create. Their greed and clueless attitudes as to how average Americans struggle, know no bounds. They’ve gone too far.